2 Grandson 5 years old and Grandaughter 2 years old More…as of 2019. Engineer at Hughes/Boeing 1985 to end 2009. Boy Scout Leader/Eagle advisor since 1989 to 2017. Amateur Radio operator since 1997. Long Beach State University 1968 to 1970; BS Engr. CALPOLY Pomona 1978 to 1980; MS Engr. Other than getting into trouble alot, I remember J.F. Kennedy's assassination. Became Tartar Knight nerd - got into school games for free! Attended Jr College then transferred to Long Beach State (University now). I won the US birthday draft lotto number and went into the US Army after college. Achieved Masters in Electrical Engineering from Cal Poly Pomona in 1980. Was Santa Clause for 10+ years for the Girl Scout Brownies and handicapped children organizations. Did it at work (adults) for a couple of years, but was not as much fun as with kids. Go into engineering and build stuff. Become a genius like the character MacGyver (TV show) and become rich and famous, buy a Corvette, and travel around the world -- fell short on all. I got old and now look nothing like my High School picture. I have coached 77 scouts to the rank of Eagle Scout since 1998. I helped build the many satellites that you need for your smart-phones and satellite/cable TV. Help re-certify (i.e, testing remaining shuttle flight hardware) and placing a robotic arm on the Space Shuttle for the last 15 or so flight before being mothballed. I survived to achieve retirement status. Chasing freshmen off the Senior Patio before the "90210" TV show ruined this tradition. I would get involved with the student government -- The ASB officers seem to have way too much fun. Seek tutoring for those "fun classes" like geometry and algebra II - remember feeling like the dumbest person on the planet? Your integrity and trustworthiness will determine your stature amongst your peers and friends. i.e., be nice and make lots of friends. William Raines updated profile. View. William Raines has a birthday today. New comment added. 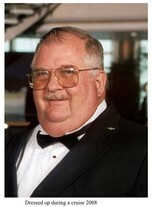 William Raines added a comment on Profile. William Raines changed "Now" picture. William Raines added a photo to profile gallery. William Raines added a photo to profile gallery. New comment added. William Raines has left an In Memory comment for Profile. William Raines joined via Class Connection Facebook app.